Leading Prophetic Voice Reveals New Insight on Defeating an Ancient Evil According to leading prophetic voice Jennifer LeClaire, the subversive Jezebel spirit continues to deceive many. 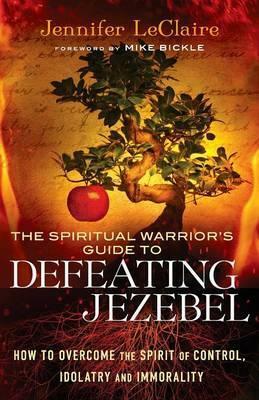 She shows, with keen biblical insight, that Jezebel does much more than most believers thought–and that it’s time to expose the deceit and defeat the spirit’s insidious work. By pulling back the curtain on this seducing principality, LeClaire picks up where other books on Jezebel leave off. She demonstrates biblically not only that the Jezebel spirit uses control as a weapon but that it is a mastermind of immorality and outright idolatry. She also gives spiritual warriors the real-world strategies needed for defeating this dark spirit in the lives of God’s people.